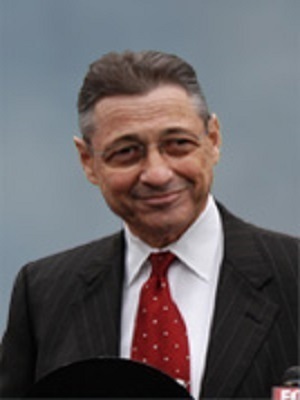 ALBANY, N.Y. (Legal Newsline) – The conviction of former New York State Assembly Speaker Sheldon Silver could help legal reform efforts in the state. Silver was found guilty of corruption by a federal jury on Nov. 30 for a scheme in which he steered state research funds to a Columbia University doctor studying mesothelioma in exchange for referrals to the doctor's patients. 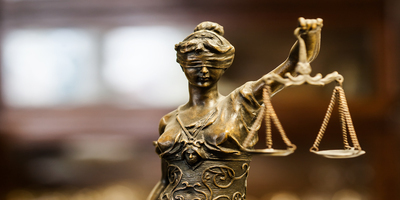 “Over the course of decades, legal reform has been a nonstarter in Albany… We can finally achieve some of the legal reforms that will put New York back in line with the rest of the country,” Stebbins told Legal Newsline. New York City's asbestos court was named the No. 1 Judicial Hellhole in the country last year by the American Tort Reform Foundation. “Hard to believe that the court's distinction as the No. 1 Judicial Hellhole, and the payments from the largest plaintiffs’ attorneys in that hellhole to one of the most powerful political players, are not connected,” Stebbins said. Stebbins said U.S. Attorney Preet Bhahara, of the Southern District of New York, should continue investigating corruption occurring in the New York judicial system, as some remaining questions are still unanswered. “In the aftermath of the trial, we found that Weitz & Luxenberg was getting priority access to jury pools. Now, one thing that has not been unearthed in the trial was how Weitz & Luxenberg got this priority access,” Stebbins said. According to Stebbins, Weitz & Luxenberg’s special treatment could be related to its payments to Silver while he was in office, particularly through his “no-show” job with Weitz & Luxenberg. The New York Times reported that Silver was hired for prestige, and did not actually contribute any legal work at the firm. This was perfectly legal in the State of New York. Stebbins said that no-show jobs are essentially political contributions masked as income that circumvent election laws, and contribute to the corruption of New York courts. “It is offensive that this was even allowed to happen. We urge the U.S. Attorney to continue the investigation to understand how on earth this could happen," he said. Stebbins said that uncovering the payments made to Silver are just the beginning of much-needed legal reform in New York. “In addition to being the country’s No. 1 Judicial Hellhole, in addition to plaintiffs’ firms getting priority access to the jury, the court routinely pays out three times the national average. How is this possible?” Stebbins said. Stebbins accuses Silver of another form of corruption: appointing Arthur Luxenberg to the Judicial Screening Committee in 2008. “We should prevent these legislators from appointing their business partners to powerful political positions,” Stebbins said. Stebbins hopes that in the wake of Silver’s conviction, the legislaturell be open to enacting long-overdue legal reform in the state. He specifically calls for the Assembly to revisit the Scaffolding Law. The law, which exists only in New York, holds contractors and property owners 100 percent liable for injury even if they had nothing to do with the plaintiff's actions, Stebbins said. “There is no surprise that [Silver] defended this trial lawyer giveaway, as he was being paid millions by trial law firms," he added. Stebbins said that one of the first things the Silver-free legislature and governor should do is reform the law to a standard of comparative negligence. “This is a call to action,” Stebbins said.